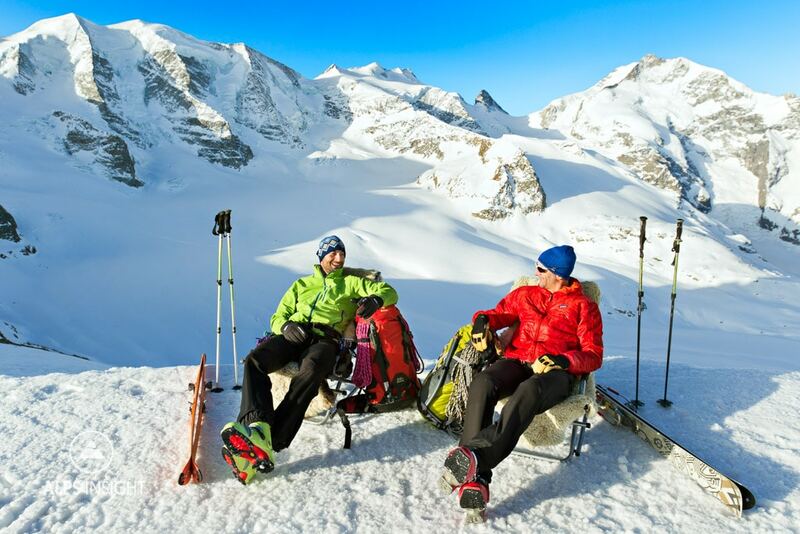 The complex mountain and glacier terrain around the Piz Bernina, the Alps' easternmost 4000 meter peak, offers a unique ski touring experience that's as much about mountaineering as it is ski touring. 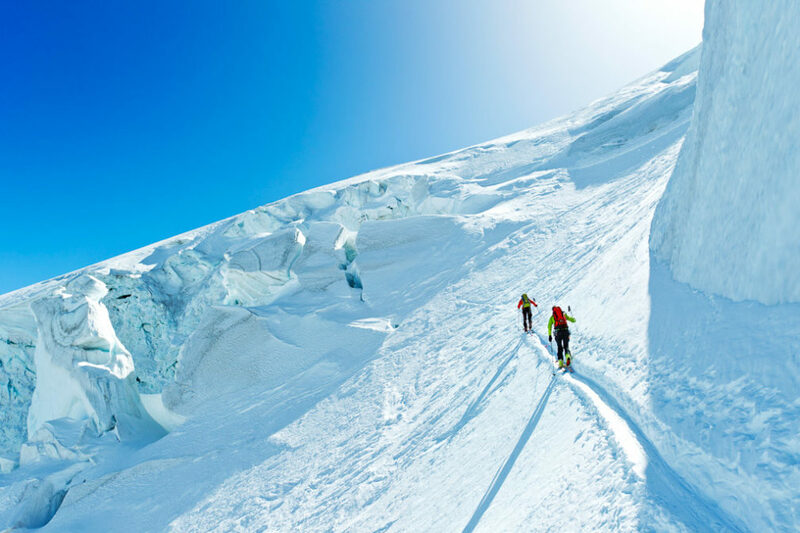 Thin snow years are not the time for this tour since it requires traveling up and down glaciers in seriously crevassed terrain. Anyone considering this route should have solid mountaineering experience, and especially glacier travel, rescue, and navigation skills. As so many experiences in the Alps do, this one starts with a very expensive tram ride. Diavolezza is a great restaurant and terrace by day, and a pleasant hut by night. If you stay overnight at the Diavolezza, the bell for the last tram down marks the switch from bustling to quiet. It's also the time to head for the hot tub that sits so magnificently positioned on the deck. This is truly a special place to spend the night as you sit with an unobstructed view of the Piz Palu and Bernina massif, your alpine playground for the next couple of days before you cross into Italy. This tour requires some flexibility around conditions and weather. 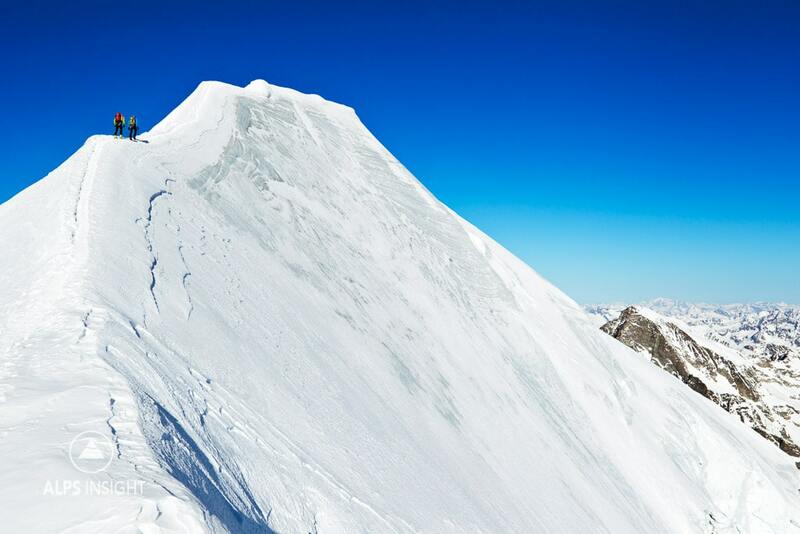 Surely, the 3900 meter Piz Palü is an objective, but some ignore it in favor of a more leisurely ski up Munt Pers. Both Munt Pers and Piz Palü require a huge descent down the Pers Glacier to the Boval Hut. 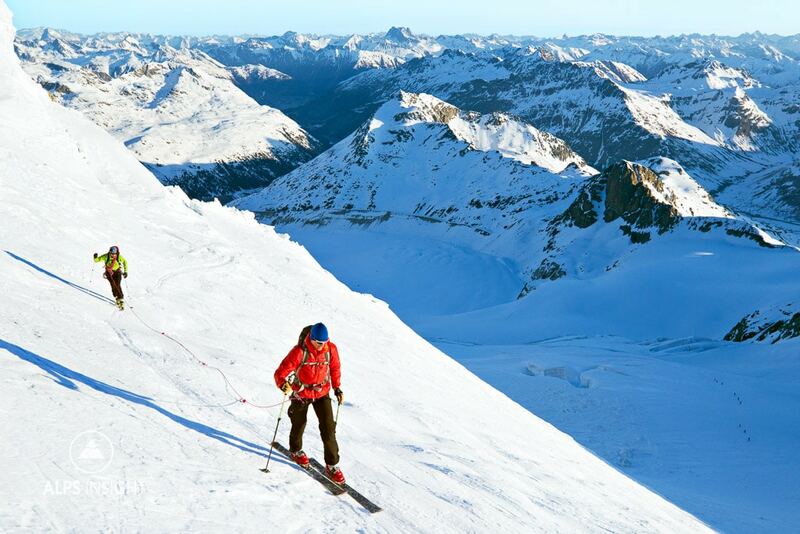 Piz Palü is a straightforward ridge climb (PD), that will be done with a ski depot. The ridge, while not technically difficult, is exposed and can be very icy. Next up on the rough schedule is the Marinelli Hut, also in Italy, and also another great meal. From there, two options exist for getting back to the Swiss side of the massif. North of the hut is the Sella Pass, which accesses the reportedly heavily crevassed and tricky glacier descent to the Coaz Hut. I have not done this descent so cannot provide any insight other than what I've heard - which is to be very careful of extreme crevasses. The other option is the long glacier climb to the Fuorcla Fex-Scerscen, which is recommended in poor weather or to avoid the Sella Glacier. This climb traverses beneath the memorably massive south faces of the Piz Sella and Piz Glüschaint. Once over the col, it is a long and pleasant ski out the Val Fex to Sils Maria, famous for being the location where Nietzsche spent perhaps a bit too much time alone. The description here is only a rough guide to what is possible in this mountain group. 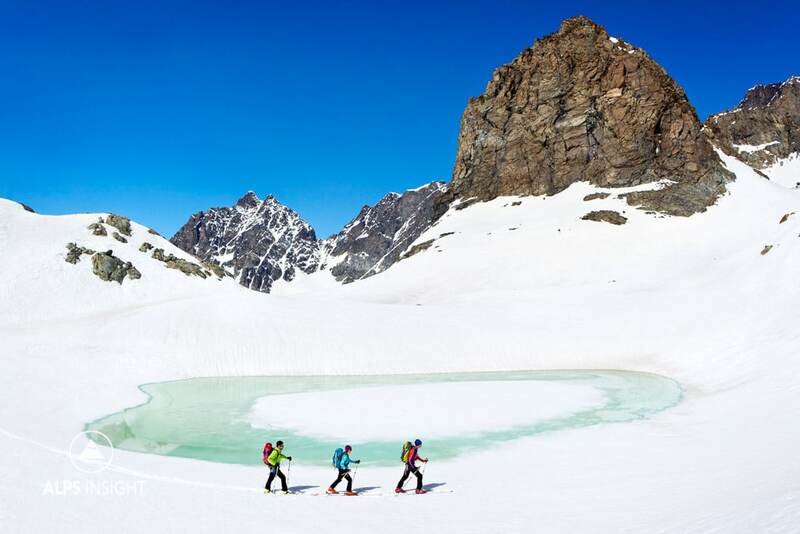 There are so many more peaks to climb and ski, passes to cross, and huts to visit. It really is a tour that requires a guide to make the decisions, based on local knowledge and experience, for the best experience. This is not a beginner, or even intermediate, tour! 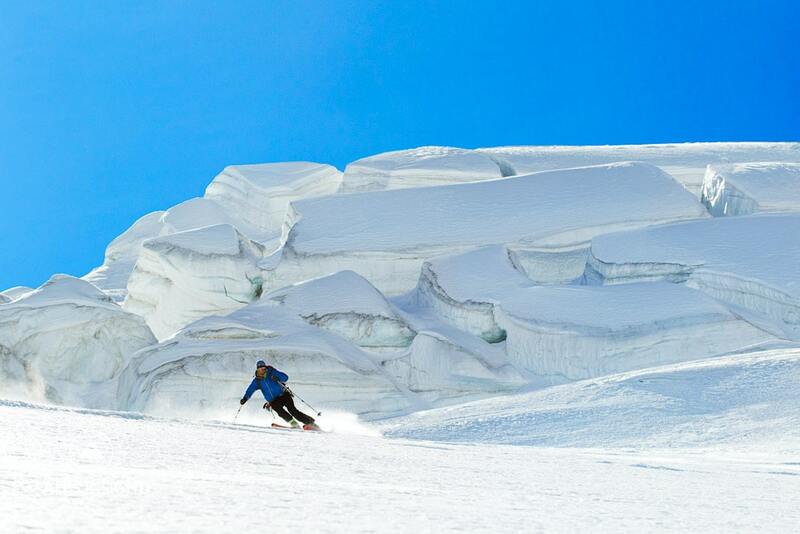 As we do with many of our ski tours, we only offer a description of the experience, not an itinerary. We strongly recommend a mountain guide. 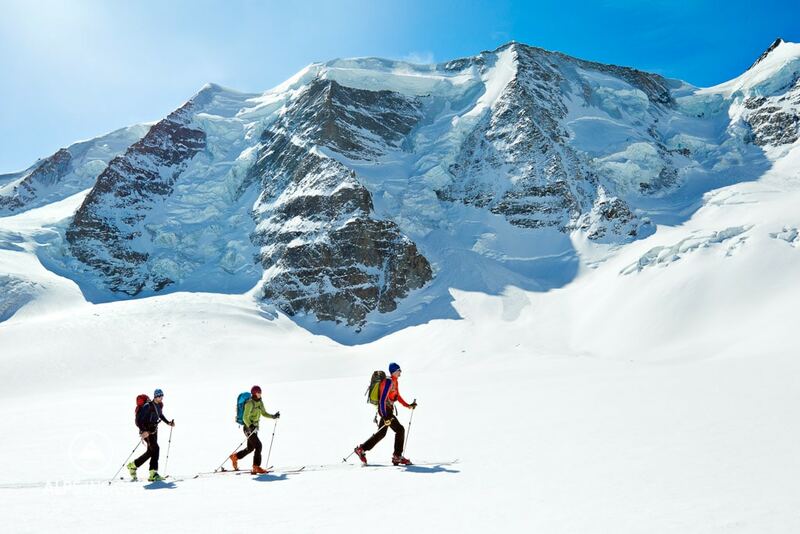 Ultimately, if you've already skied the Haute Route, or another Alps classic ski tour, and are looking for something more challenging in the form of mountaineering - the Bernina is a great, great tour! Do not consider this the fixed itinerary! It is a way through the tour, but like any ski tour, there are options, and alternative routes based on weather, avalanche danger, and snow depth. 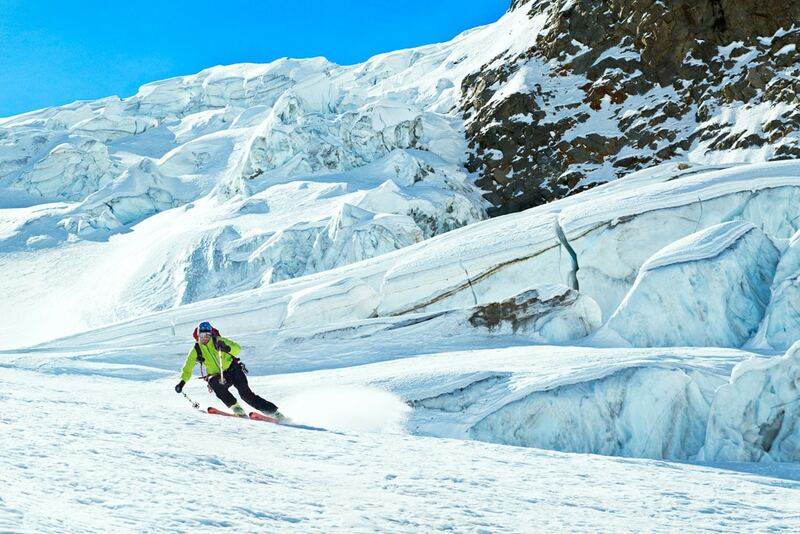 A guide is highly recommended for all ski tours in the high Alps. This is serious terrain and our information is only to show you what is possible. TIP: Do not take our itinerary as a target, it is only a rough guide. Route options must be based on conditions and the skier's abilities. A guide can help with all of this!